Sometimes we want to have steak suddenly in our dinner or lunch, or sometimes we also prefer it in our outdoor get together, but on that moment we cannot prepare it for its difficult cooking method. But if I told you that you can make it easily or your stovetop!! Yes it is true, you can make your steak easily just following simple and essential tips and it will give you a perfectly cooked stovetop steak where you can feel the perfect tender buttery flavor. You can cook it every time just the way you like it. Let me explain you the way to cook this delicious dish. Boneless steaks that are between one or one and a half inches thick are the best steak to cook on stove top. You can go for New York Strip or boneless Rib Eye steaks. These are the best option for this method. When you will by the steak you should look for plentiful marbling and try to take the thicker steak. If the steak is enough fat, it will remain juicy while you are cooking and you will get the best meaty flavor and texture. Try to buy the best steak you can afford, it will cost you more than any other junk foods. But cooking it at home with a simple appetizer or with a bottle of spine will give you better taste and feelings than eating any steakhouse steak. Any Other Meat Cuts Work?? Basically we need steaks that fall under one inch to cook on stove top. We can also use flank or flat-iron steaks. But New York Strip or boneless Rib Eye is the best option to process everything much faster. Bone in steak is very difficult to cook properly in pan. Sometime it leads to uneven cooking. Stove (You can go for the best electric portable stove. 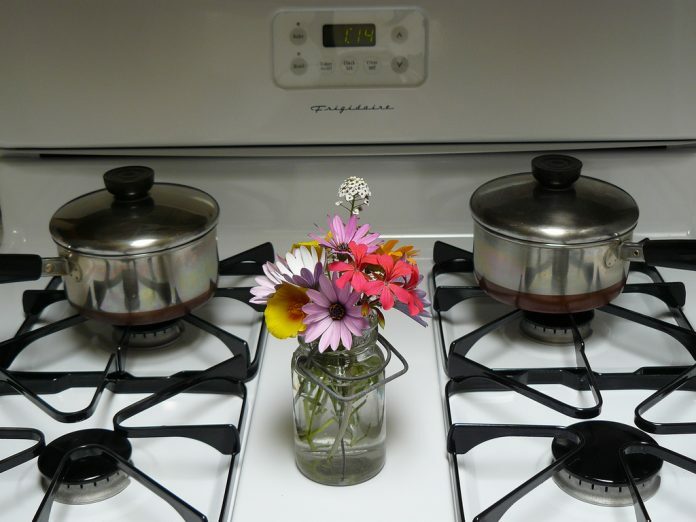 It will help you to move around with the stove easily. Step 1: Prepare the Steak: You need to remove the steak from refrigerator, keep it to be normal for 30 minutes to 1 hour before start cooking. Now put them in paper towel lined plate and make it dry with more paper towels. This will help to dry the surface of the meat which will help to make a good crust. Step 2: Prepare all other ingredients: You can cook steak easily in short time with no hands. For that you should prepare all the ingredients in the mean time. You should also keep the thermometer and a clean plat to rest the steaks. Step 3: Seasoning the steak well: Seasoning the steak is very important. Coat the steaks carefully with salts and also coat the side of the steaks properly because the salt’s ability to season the meat works like a curve. You can do two things here, first is if you season the steaks just before searing it will be a nicely seasoned steak. On the other hand, if you season the steak for a whole day or night, you will also get a well-seasoned steak. I preferred to salt the steak for 30 minutes. Salting the steaks just before cooking seasons the steak properly and also helps to create a dry surface for searing. Step 4: Heating the Pan: The pan should be properly heated. Use a 12 inch cast iron skillet and heat it high with the stove for near about 10 minutes. You will see the pan smoking a bit when it is properly heated. You can have a visit on Cutlery Advisor to see portable electric stoves which may help you in many ways. Step 5: Cooking the Steaks: Now it comes the important part. Carefully put the steaks on the pan and cook one side properly until the crust has developed that the steak is no longer stick to the pan, it will take near about 1 minute. Now repeat the same thing on the other side of the steak. Continue this process for 4 minutes. Step 6: Flavoring and Basting the steak: Now carefully add butter, garlic and other herbs to the pan and flip the steaks. Carefully baste the steak with butter and flip it again. Continue flipping this several times. Now check the internal temperature after 6 minutes of starting cooking. The usual rare is in between 125 degree F to 130 degree F.
Step 7: Rest the Steak: Now replace the steak in another plate and rest it for 5 minutes. You can prepare a pan sauce if you want while the steaks rest. Step 8: Carve the Steak: Al last just slice the steak thinly across the grain and serve it quickly with the pan sauce. So this is the easiest way to prepare steaks at home with a perfect taste. I hope this recipe will help you and you must try this at home.